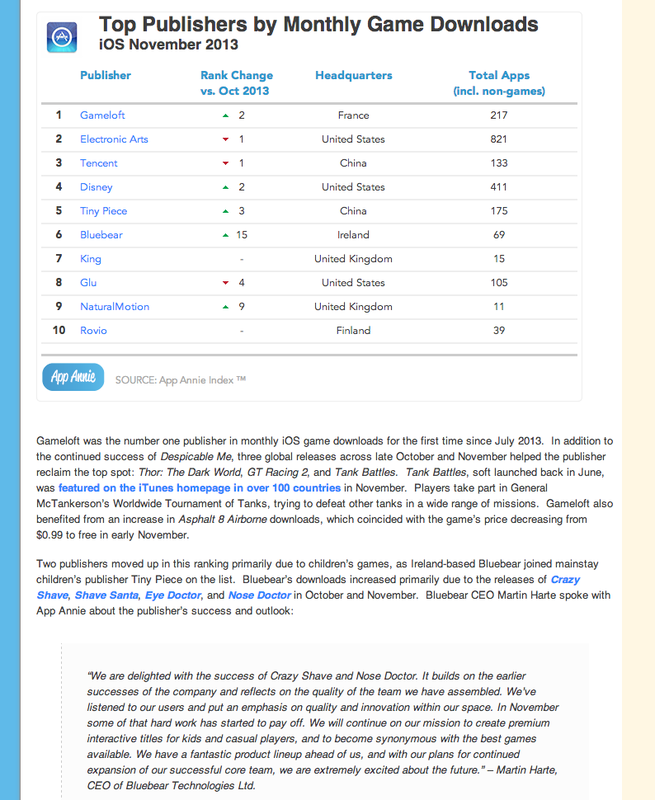 Bluebear is ranked 6th biggest iOS publisher by downloads on the Apple Appstore in November according to @AppAnnie. Ahead of King and Rovio! Click here to see report! Ear Doctor is #1 in US iPad Kids Charts!